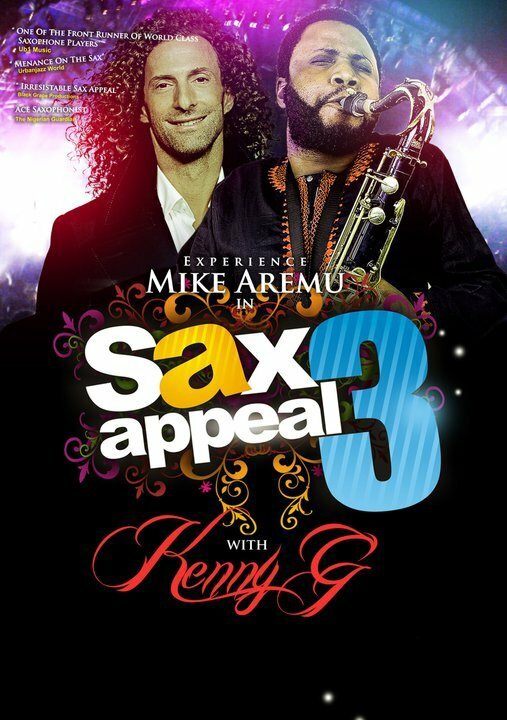 Sax Appeal 3 with Mike Aremu featuring live in concert International Sax Sensation Kenny G, Mobo Awards Best Jazz Artiste Yolanda Brown, Nigerian king of the strings Kunle Ayo & South African Soul Sensation Judith Sephuma. July 3rd @ New Expo Center, Eko Hotel. Call 01 8200348 to make reservations.